Tate is a double-breasted jacket or coat for boys and girls with a pointed collar. 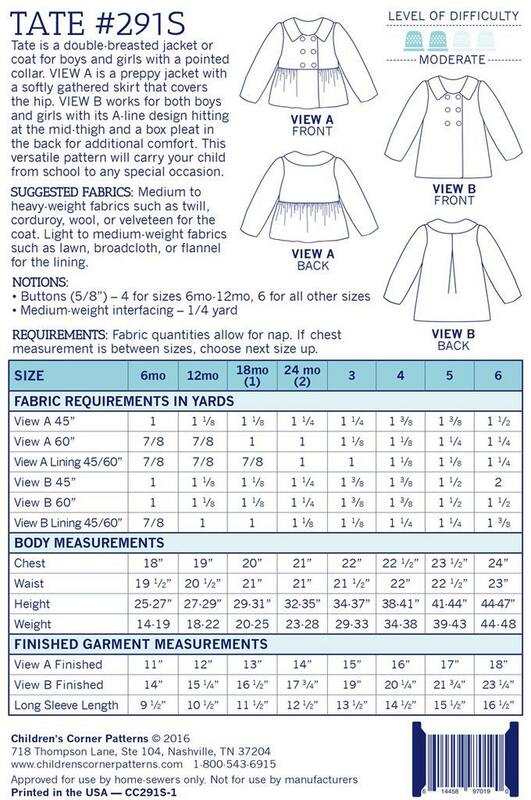 View A is a preppy jacket with a softly-gathered skirt that covers the hip. View B works for both boys and girls with its A-line design hitting at the mid-thigh and a box pleat in the back for additional comfort. 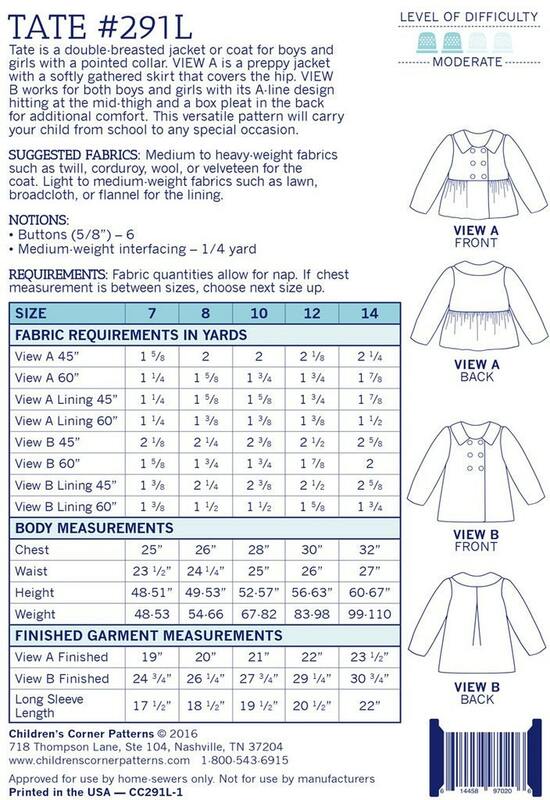 This versatile pattern will carry your child from school to any special occasion. Available Sizes: Sizes 6 mo - 6 yrs or 7 - 14 yrs. 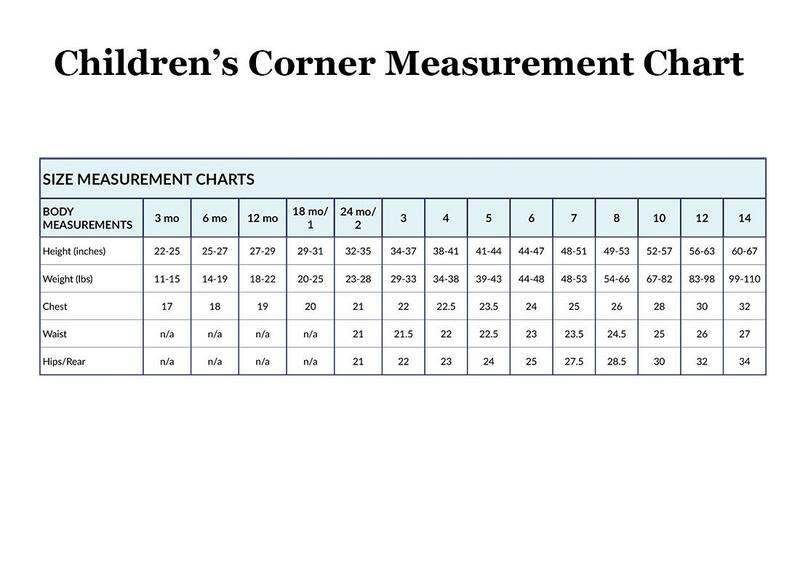 See Measurement Chart for sizing.